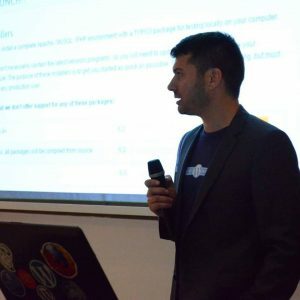 Having experience as a software consultant helped Makis to start a small WordPress maintenance company based in Athens, Greece. FixMyWP now has people working from other locations in Europe and the USA as well. The company started operating back in April of 2013. Since then, the team at FixMyWP has cleaned more than 2,000 WordPress sites with 100% success. Makis manages and occasionally provides support, and he constantly tries to provide valid and problem-solving support and keep both employees, and clients happy. He was also a support engineer in one of the biggest software companies in Greece; Singular. Let’s see what he’s got to say about the company and WordPress maintenance in general. Services: Updates, spam cleaning, database optimization, fixing hacked sites, etc. What differentiates FixMyWP from other companies is the communication and support clients receive when we are providing services. We take great care to make sure our clients are happy, their site is functioning optimally, and that they understand the process used when providing fixes and/or regular maintenance. Things can become complicated when we are providing support for clients when they have someone working as the ‘go-between’, such as an assistant. It makes the whole support and fix process much easier and faster when we are able to work directly with our client, rather than trying to explain and relay information between several people who work with them. Direct support and communication with our client is the main goal. Hacking and malware infection continue to be a widespread problem among WordPress sites in particular, resulting in an astounding 60% of all ticket requests received through FixMyWP. Thankfully, those clients who choose to host their sites with HostMyWP (sister site of FixMyWP), after we clean their site, rarely experience any further hacking attempts or malware infections. We currently use ManageWP to provide several of the day-to-day services available to my clients; however, we also utilize a number of additional processes created in-house to provide maintenance and handle service requests. Though there are some hosting companies that are definitely easier to work with than others, I don’t have a list of any that I refuse to engage with if a client is using them. As a hosting provider myself, in addition to FixMyWP services, I encourage clients who contact me for regular maintenance and fix requests to eventually utilize my hosting, as it makes the whole process of providing regular maintenance much easier to manage. In the past couple of years, it seems that plugins and themes are not such a big issue anymore for clients. Most of the issues are hosting and user related. Prior to 2015, Visual Composer by WPBakery and Avada would have been the main problems. We don’t use any of them yet but we are definitely exploring any services offered so we can optimize our client’s site user experience. The WordPress industry continues to be strong with 25% of all websites running on it. That number hasn’t changed recently and most of the industry expects it to grow. As for FixMyWP, we are hoping in the next two years to offer additional services to WordPress users that will combine premium hosting and maintenance as well as fix requests into a convenient package with the excellent support and service they are used to receiving from FixMyWP. Published on September 21, 2017 by Ivan. Filed under: Interview, WordPress.